The recent media frenzy generated by Tim Hortons’ decision to pull the Enbridge ads off their in-store Tims TV monitors almost drove Ms Soapbox to drink (G&Ts not Tims double double). Then she paused. The #BoycottTims brouhaha created a learning opportunity—for businessmen and conservative politicians alike. Here are the steps that resulted in the Tim Hortons/Enbridge ad campaign going horribly wrong. 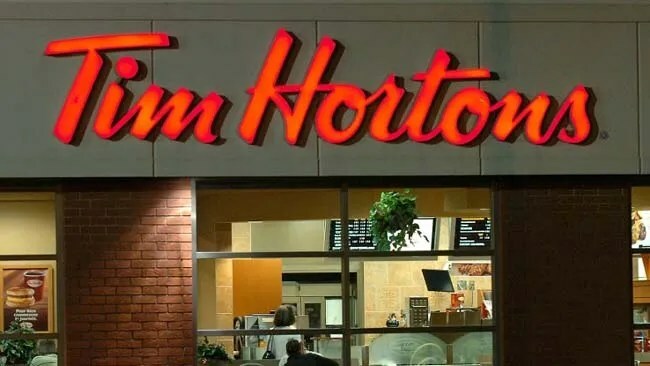 Sell Tim Hortons, a Canadian icon, to 3G Capital, a multi-billion dollar Brazilian investment company and merge it with Burger King, an American fast food giant. Then make the merged chain a subsidiary of a new company, Restaurant Brands International Inc. This will ensure that the New York suits who call the shots will have little more than a rudimentary understanding of local issues. Lay off hundreds of Timmys’ staff at head office and the regional offices. Ensure that Timmys’ sustainability/corporate responsibility staff are among those given their walking papers. Develop a new revenue generating model (Tims TV) which is essentially an in-store billboard that promotes items of community interest and ads for Timmys and other complementary brands to a captive audience. Forget the “community” purpose of Tims TV and accept a lucrative ad campaign from Enbridge, the pipeline company sponsoring the controversial Northern Gateway pipeline. Run three weeks of “Life Takes Energy” ads featuring small children and owls and get blindsided by an online petition sponsored by SumOfUs, an internet activist/corporate watchdog demanding that the “Life Takes Energy” ads be pulled because Enbridge is using a trusted brand to promote its pipeline to the public. Wait two days to assess the negative feedback and pull the ad from the in-store TV programming. Wish you’d never heard of “Life Takes Energy” because “Life Takes Stamina” to survive between a rock and a hard place. The Tim Hortons/Enbridge ad controversy is similar to the Taco Bell Veggies ad campaign which blew up when the Centre for Science in Public Interest complained that the ad implied Super Bowl party-goers were wimps if they brought veggie trays to a playoff game party. CSPI launched a Twitter campaign and Taco Bell pulled the ad. That sparked a backlash from other consumers (presumably junk food aficionados) who berated the company for caving to the “food police”. All of which illustrates the golden rule of advertising: don’t offend the very people you want to convince to buy your product. In this case, Tim Hortons and Enbridge did the smart thing. Timmys assessed the negative feedback and pulled the ad. Enbridge said it respected Timmys’ decision. And that would have been the end of it but for a bunch of hysterical politicians who blew the whole thing out of proportion. Mr Jean refuses to set foot in Tim Hortons until it issues an apology to God knows who. 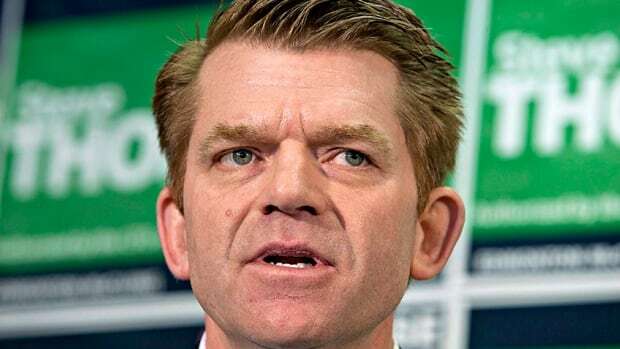 Federal Conservative politicians Jason Kenny, Michelle Rempel and Joan Crockatt piled onto the boycott bandwagon urging Canadians to give up their beloved double doubles as a sign of support for the oil industry. It is utterly undemocratic and an abuse of political power for a gang of politicians to override the commercial decisions of two private businesses and urge citizens to boycott one business if it refuses to fall into line with their warped thinking. OPEC met this week and decided to maintain its current high level of production. Consequently oil prices will remain low and Alberta’s economy will continue to suffer. Among those who will suffer are the hundreds of Tim Hortons franchise owners in Alberta. These businessmen and women invested between $480,000 to $510,000 to set up shop; they’ll fork out an addition 30% of gross monthly revenues to Timmys just to keep the doors open. Then they’ll pay wages and taxes and then, if they’re lucky, they’ll make a profit. The conservatives’ call for a boycott will accomplish nothing…other than harming these small business owners, their employees and the local economy. Surely it’s time for politicians to realize that they’re not the energy industry’s white knights. The CEOs of Enbridge and Restaurant Brands (who together earned $12.5 million last year) can take care of themselves very well thank you, without the misguided “assistance” of politicians trying to make a name for themselves. This entry was posted in Politics and Government and tagged Brian Jean, Enbridge, Jason Kenny, Joan Crockatt, Life Takes Energy, Michelle Rempel, Tim Hortons. Bookmark the permalink. 19 Responses to Boycott Tim Hortons? Seriously?? Box score of this silly game? All Canadians who just want a coffee with their friends in a relaxed, down-to-earth environment -won! Enbridge, Jean, Kenny, Rempel and Crockatt -a great, big, fat, round doughnut! Mik, what a perfect way to summarize this situation…you get a double double! Well said. So tired of stupid politics and corporations! Can we get back to building an economy and middle class in Canada from private business? We are so controlled by conglomerates that don’t give a dam about you or me! As for politicians caring.. good luck. That’s just another corporation too! Suzanne, the irony of the situation is Brian Jean said Tim Hortons should “stick to making coffee” and not worry about online petitions. It would be nice if politicians stick to making policy and stop lobbying for corporations. To be honest, I stopped going to Tim’s when I started seeing cups littered all over the place, starting about 10 years ago. I can’t think of another consumer that has such a blatant disregard for their environment than Tim’s customers, based on the waste I see in my neighbourhood. Yes, I’m generalizing and actually apologize to those that care who I lumped in with this crew, but the question is WHY? Maybe they were a perfect target for the Enbridge ads. To compound things, I told others to stop going to Tim’s when they allowed themselves to be the ‘centre’ of debate when it came to Canadian politics. If you weren’t seen in a Tim’s (and god forbid, got caught with a Starbuck’s in your hand) you were a political pariah, doomed to be ridiculed by opponents and the media. We’ve sold out our ability to be independent and that must change. Canada is suffering a sickness and the cure is coming. Fair point Liam, its a goofy world where your choice of coffee shop becomes a political statement. One wonders how many coffee-shop activists actually volunteered for a political candidate in the last election or are involved in the upcoming federal election. This is just one more example of the lack of separation between the corporate world and politics. It is as suffocating as the Inquisition and Jason Kenney is ever the ready puppet to take front row seat in these cases. He is always the little kid with his hand up in the air that knows everything and cannot stop showing off their superiority. He was one of the architects of the Foreign Temporary Program and to this day he still has not been able to understand the abuse that was inevitable in a society where exploiting the weaker is part of doing business. Considered by many as a brilliant man, he is incapable of realizing that the people that finance his campaigns need strong regulations to keep their hands from those that have no protection. He could not understand that a program that has been tried over and over in the US and Europe just does not work without strict controls simple because greed without borders just creeps in somehow. In the meantime, he and his government had nothing at all to say about the Truth and Reconciliation Report released last week. Harper continues ignoring completely anything that does not interest him. No word on climate change, no word on the health Care front, no word on the Senate, no word on the murdered native women in Canada…..and on and on. All it talks about is free trade. He has no opinion on society. It just does not exist. Only money talks. Susan explains well what has happened to Tim Horton’s and the rest is just historical repetition. Soon it will be another casualty of big business expert decisions. Imagine if these stories were government agencies rather than private companies? Well said Carlos. Sometimes you have to shake your head at the nonsense coming from our politicians as they try to rationalize their actions. I don’t know if you heard the As It Happens interview with Brian Jean. He comes across as a tin hat conspiracy theorist. What bothered me, aside from the nutty bits, was his lack of logic in jumping from Tim Hortons responding to an online petition to this being part of an international conspiracy to take away Canadians’ right to determine their own destiny. He seems oblivious to the fact that our destiny is already in the hands of multi-billion dollar global corporations. All the big oil producers are global players. They make decisions on a global basis, hence the lack of upgraders and refineries in Alberta. Yes tin hat conspiracy theorists is what I have always thought the Wildrose Party to be home for. Some of them of course were more than that and had ideas of 14th century burn those who are different and dangerous like Galileo and Giordano Bruno. I really have a very poor opinion about the party and so far I have not been able to shake it off because they keep the flame alive. I will try to listen to the interview but to be honest they do irritate me. I prefer the interview today on truthdig.com between Amy Goodman and Ada Colau that just got elected mayor of Barcelona. Carlos, I checked out the Ada Colau interview. She comes across as intelligent, articulate and caring. Oh and courageous. I especially liked her response to the question about what happened when she addressed Parliament and said the banker next to her was a criminal for perpetrating mortgage fraud and should be treated as one. She said people were surprised that someone was talking about reality inside parliament. It hadn’t happened in a long time. I am glad you had a chance to listen to Ada Colau. It is amazing how unreal the whole political world is. People like Joe Oliver and Stephen Harper seems to have no emotions and respond always the same way as clones of some autistic clan. When I listen to Stephen Harper I feel depressed. He has nothing to say and always displays a clear distance from anything that matters. The only reason he has no opinion is because he does not want to say anything that may compromise his bid to hold on to power and transform Canada. I just would like to know what the transformation is about other than markets and free trade and allowing foreigners to take control of our resources. By the way Truthdig has a 7 part series of half an hour discussion between Chris Edges and Robert Scheer. Very interesting conversation, at least one lerans something. I think when his answer to Carol Off’s question early on in the interview, “do you have any evidence for that” [his assertions of what this is really all about], was “no, Carol, I don’t”, that said all that needs to be said about his credibility. AB and Canadian politicians speak as if opposition to oilsands/tarsands pipelines has no basis in evidence. Citizens who oppose bitumen/dilbit pipelines aren’t inventing the unique dangers. We are exporting some nasty stuff. So far impossible to clean up effectively. At that link is just one account among hundreds or thousands that explain why citizens outside AB have legitimate concerns about AB’s pipelines. So I find it’s always amazing to hear the rank hypocrisy of politicians and citizens with RW political leanings, in denouncing boycotts, when they are the ones always reminding the rest of us that we can’t object to what markets/corporations/business forces want for society. So when some of us listen to that message and to turn to use markets – e.g. boycotts – to protect our society’s future, one would assume that the RW would be OK with consumers exercising our market power. But no. Then using boycotts to target the fragile tiny energy industry, is suddenly heresy. Apostasy. Unpatriotic. Or whatever the RW dreams up as their label for people concerned with protecting the environment where they live. Sam, thanks for the link. I’d heard that the Enbridge dilbit spill into the Kalamazoo River had been “cleaned up” but I wasn’t aware that 180,000 gallons of the stuff was still sitting on the river bottom and some of it was drifting towards a Superfund site containing 120,000 pounds of PCBs. It sounds like Enbridge and the EPA are engaged in the usual battle–the regulator says this is what’s happening and this is how you need to fix it and the company says you’re wrong and your fix is too disruptive and expensive. While it’s always helpful to get all points of view in order to figure out how best to remediate a spill, at the end of the day the guy who made the mess isn’t going to get a lot of sympathy from the regulator or the public who’ll be stuck with the consequences for generations. With respect to your last point, I wonder when “the fragile tiny energy industry” will figure out that the reason why groups like SumOfUs are so successful is because the industry has had political lobbyists pleading its case for decades. Huffington Post got the story mostly right when they pointed out that the boycott perpetrators displayed zero support for the Truth and Reconciliation Commission (TRC). However, they missed the obvious conclusion – the boycott is a fake news story manufactured by Ezra and several elected Alberta friends as a distraction to the TRC. The so-called boycott consisted mostly of Ezra handing out Starbucks gift certificates at noon in Calgary’s beltline, plus a few cheap Tweets. Instead of helping Ezra spread fake news, ask the boycotters about the TRC. Ezra is always the first fly around the pile. He thrives on it. Rob, thanks for the link. The twitter exchange between Rempel and Gerald Butts was very interesting. A Liberal candidate called for Tim Hortons to reverse its decision. Rempel implied the candidate would be getting a call from the Liberal leader, Butts said their candidates aren’t told what to think by their leader and that struck a nerve with Rempel who made a crack about Trudeau not knowing what to think. All of which underlines your point. These Conservative MPs spent an awful lot of air time urging Canadians to boycott Tim Hortons and slagging the Liberals without once considering whether they should speak out about the TRC. But then again, the Conservative MPs don’t say “boo” until their leader OKs it in triplicate. Pathetic.